United Capital Funding Corp., the leading provider of professional Accounts Receivable based funding and credit management solutions in the United States, announced today it was a Corporate Sponsor at the 16th Annual AMI Kids Pinellas Last Man Standing Event, Saint Petersburg, Florida on February 22, 2014. “United Capital Funding has been a consistent strong supporter of AMIKids Pinellas over the past 10+ years and were honored to be able to support the amazing work done by AMI Kids,” commented Mark Mandula, Managing Partner of United Capital Funding. United Capital Funding Corp., the leading provider of professional Accounts Receivable based funding and credit management solutions in the United States, announced today was a Corporate Sponsor at the 16th Annual AMI Kids Pinellas Last Man Standing Event recently held in Saint Petersburg, Florida February 22, 2014. Over the past 17 years, United Capital Funding and its employees have contributed nearly $500,000 in local, regional, national and global giving. In addition to these direct financial contributions, United has made significant pro bono contributions of time and United Capital employee skills to support their Corporate Citizenship program. Some of the charities supported by United include AMI Kids Pinellas, TBRI, JFCS, the Wounded Warrior Project, Inc., Society of St. Vincent de Paul, Tampa Bay Watch, CASA, The Salvador Dali Museum, The Morean Arts Center, The Chihuly Collection, The Museum of Fine Arts, Police Athletic League, The Ronald McDonald House Charities of Tampa Bay, Heroes of the St. Pete Police, Derrick Brooks Charities, Inc., Community Service Foundation, Suncoast Hospice, Clothes to Kids, Inc., Wilderness Trail, The First Tee of Saint Petersburg and a wide array of other organizations. AMI Kids Pinellas is one of more than 50 programs across the country affiliated with nationally-recognized AMI Kids, headquartered in Tampa, Florida. AMI Kids Pinellas is a non-profit organization dedicated to providing our community’s kids an opportunity to transform into responsible young adults. AMI Kids Pinellas offer young adults a promising future through positive and motivating programs that inspire learning, leadership and personal growth. AMI Kids Pinellas operates by the values and standards of AMI Kids, Inc. and creates an environment in which students of all types can learn and thrive. With a strong belief in positive reinforcement and individualized attention, AMI Kids Pinellas consistently holds true to the following principles: bonding (social development model), family atmosphere, productive discipline, positive learning environment, gender responsiveness, cultural relevance and a high expectation for success. 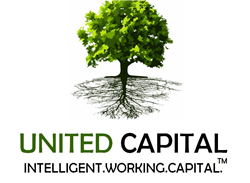 United Capital Funding Corporation provides Intelligent Working Capital via factoring, credit insurance coverage and efficient Accounts Receivable management solutions to clients nationwide. These professional services allow clients to strengthen their cash flow, streamline internal operations and assist them in competing successfully in the current challenging economic environment. United recently exceeded $2+ Billion in funded and managed relationships since its formation in 1997. Starting with a single Florida based client, United Capital Funding now serves clients in 29 states, and is based in Tampa Bay, Florida. United also has a regional offices in Nashville, Tennessee and Charlotte, North Carolina. United Capital Funding is the fiscally savvy alternative for healthy companies in the staffing, government, manufacturing, service, distribution, technology and professional services sectors looking to profit from the flexibility and speed of partnering with a privately held, well capitalized source. Additional information on the specialized business financial services provided by United, including factoring, Accounts Receivable management, and working capital are available online at their website; http://www.ucfunding.com.